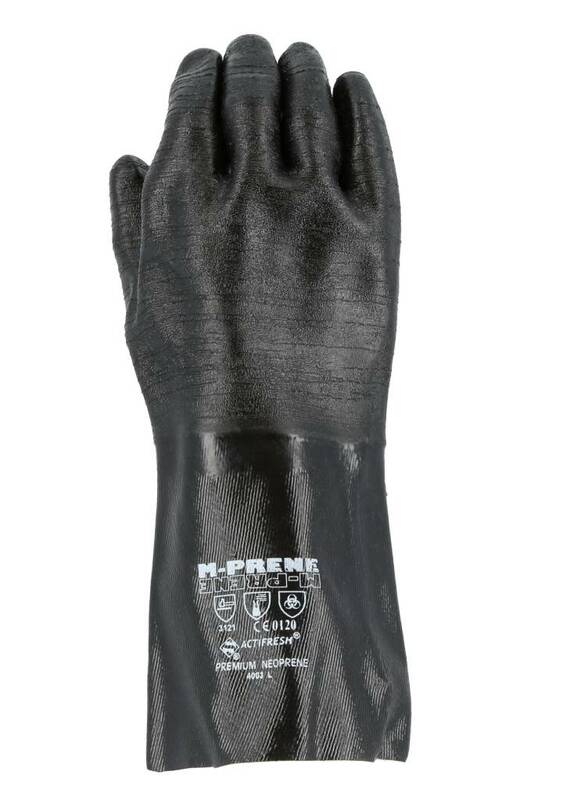 This recyclable glove is double dipped in A-grade neoprene for superior quality and durability and provides protection against acids, caustics, oils, greases and many solvents. 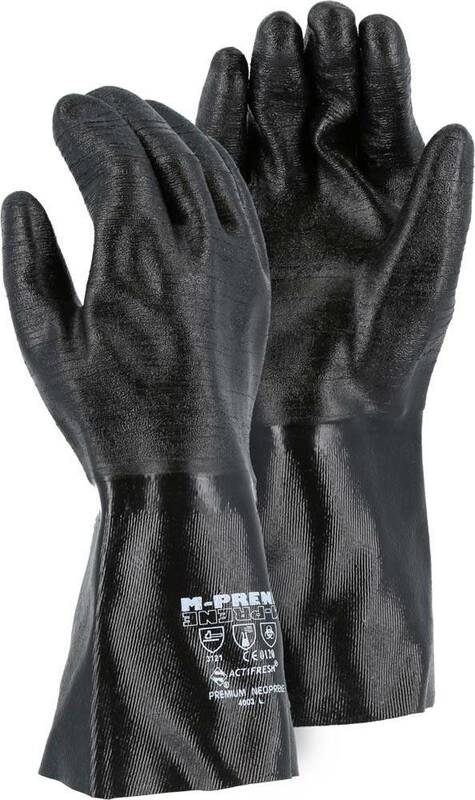 It provides excellent all-around protection against physical hazards such as abrasions and cuts. The rough finish is excellent for applications where a high grip resistance is required. Lined with a cotton interlock to absorb perspiration.